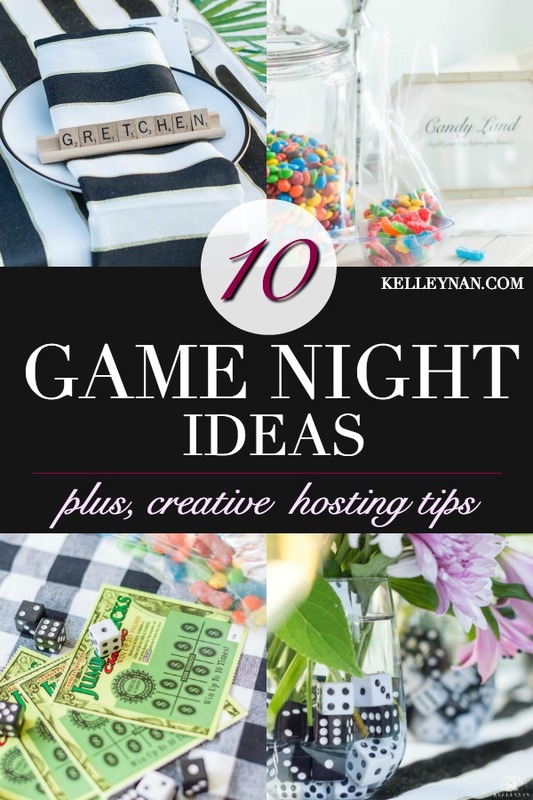 Whether you’re a regular at hosting game nights or you’re a novice, just looking for a different reason to plan a get-together, today I’m talking about 10 game night ideas you have to try at your next party. I bet there’s even some tips and creative nuggets you’ve never seen before! 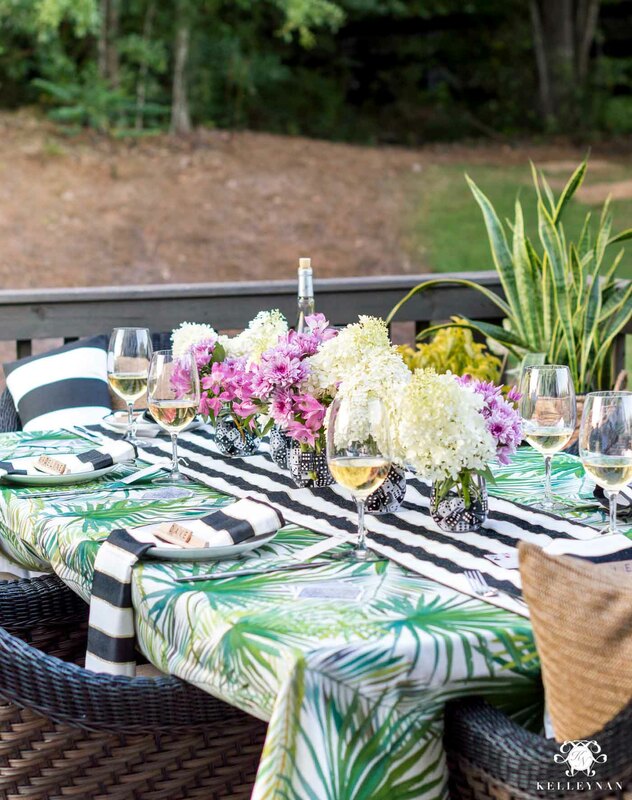 From the menu and food, to the outdoor table setup, I’ve partnered with Bed Bath & Beyond to cover all the bases. 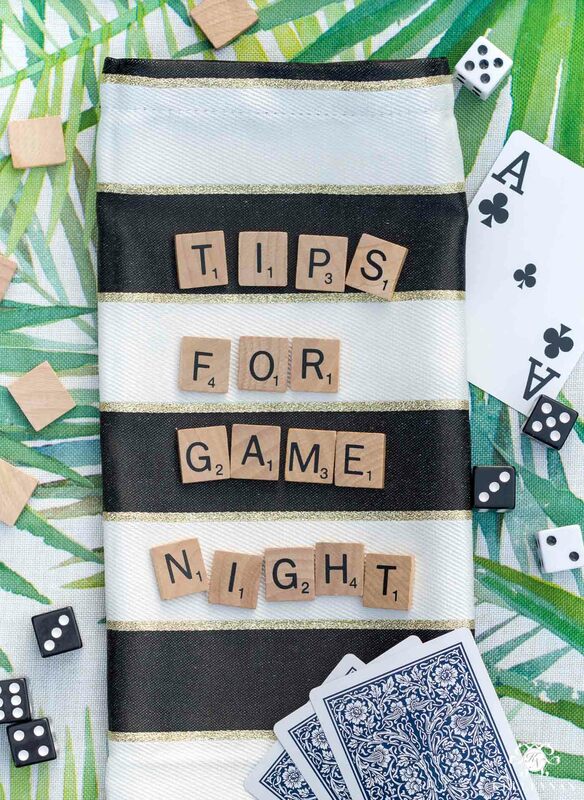 While I primarily focused on adult game night ideas with friends, most tips are universal and can be used for all ages, showers, and parties. The Lopezes are game people. Admittedly, Dave is probably only a “game person” by default because he’s married to me. I’ve talked before about how my competitive side has legit been the breakup catalyst in a past relationship or two- not kidding. Lucky for me, Dave isn’t phased and accepts my need to win, yell-y voice, and occasional partner criticism; ok, when I type it out, he really is a trooper haha. 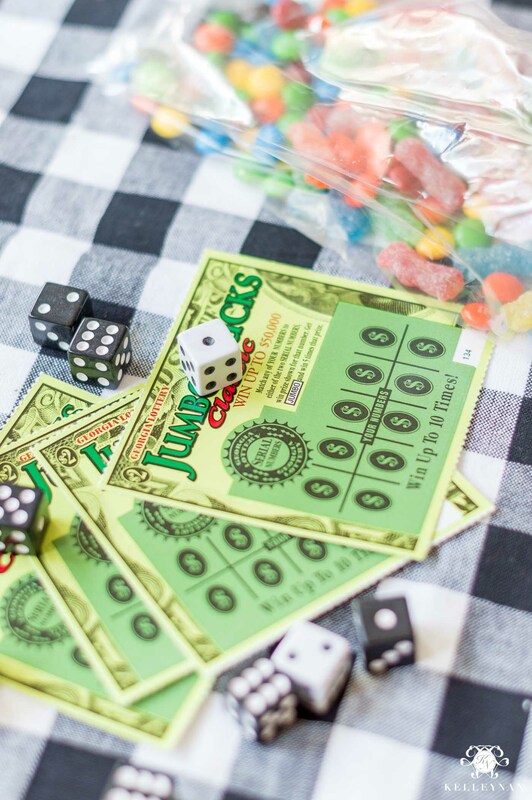 I’ve actually toned it down a bit and improved over the years – thank goodness or I probably wouldn’t find many people willing to endure the abuse crazy fun time to be had at game night at our house. This post isn’t so much about favorite games for game night (I mentioned some of those in my game cabinet organization post HERE), as it is about tips for hosting a memorable evening with friends and some easy, on-theme ideas. Before the actual tips, here’s a pre-tip… more of a general consideration. 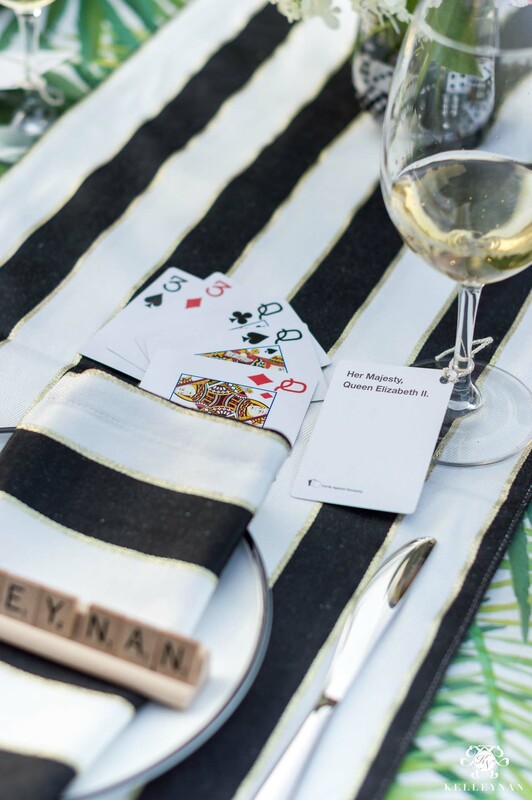 When you’re planning your guests, invite friends who are truly down to play games. If they take themselves too seriously, would prefer to socialize and hate sitting, etc., your game night will be a serious uphill battle. Also, consider the ideal number of people. If you want to play Balderdash (had to throw that in since it’s my all-time fav 😉 ), inviting six other couples probably isn’t the best idea. Also, know your audience. Determine ahead of time what games are appropriate for guests. If you have a couple(s) who are more reserved, stick to something on the “safer” side. 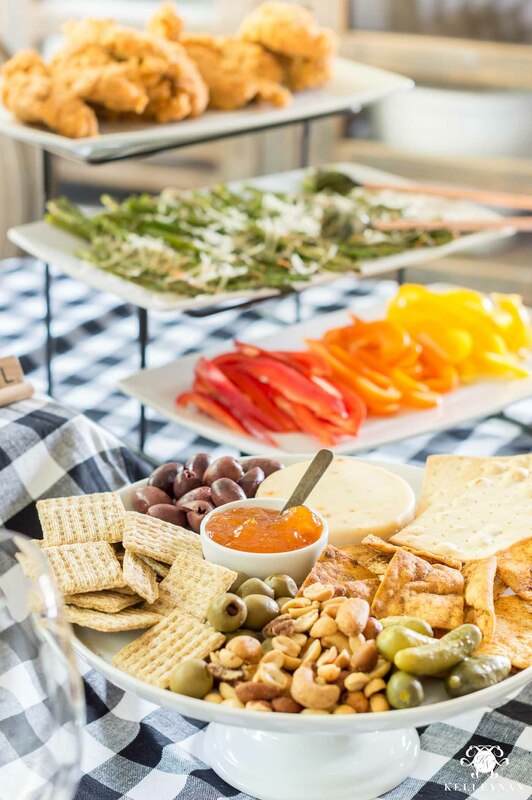 There are so many advantages to prepping appetizers/finger food/hors d’oeuvres for any kind of party but especially when you’re hosting a game night. Nothing will kill a game night faster than losing momentum because people aren’t at the table – that goes for you if you’re stuck in the kitchen, trying to time the dinner dishes perfectly. You don’t have to have a formal sit-down meal to have a full meal; people will be more inclined to graze and fill their plates at their own pace, keeping everything moving along. You are feeding your guests but the dinner portion is secondary. And how many of us have been in this situation? A lovely dinner is served, people continue to go back for seconds, and then dessert, great conversation is had… but by the time everyones plates are clean, it’s too late to even start thinking about bringing out the games. Setting up a festive food table is easy, will get you out of the kitchen sooner, and it can pretty well manage itself. Plus, having an out-of-the-way “station” keeps people from congregating in the kitchen. You know I love a good food table setup (remember my tips HERE?) 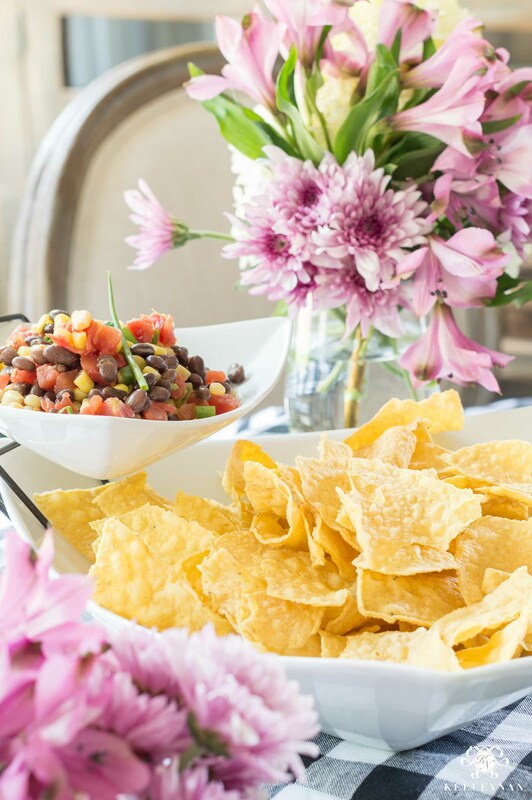 Yes, I use some boxes underneath table linens for help but having a few tiered pieces on hand (like this three-step server and chip & dip two-tiered serving dish) makes it so much simpler. 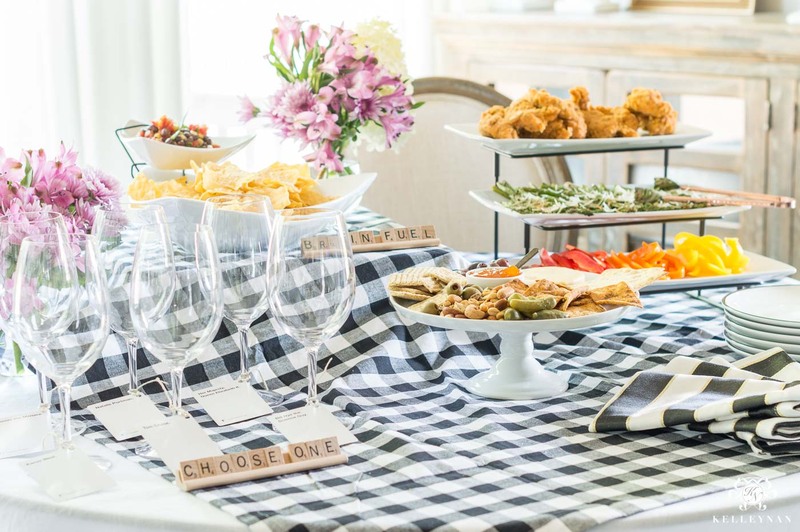 Variation is key and there are a ton of options for platters, boards, stands, and whatever your little food-table-setting heart desires on this Bed Bath and Beyond page. I even assembled a cheese plate on a cake stand; this one has an upturned lip so it easily contains the overflowing goodies – perfect for your entertaining arsenal to serve desserts or apps, even if you don’t have a dedicated cheese board. Ok, this is where I really started having fun. 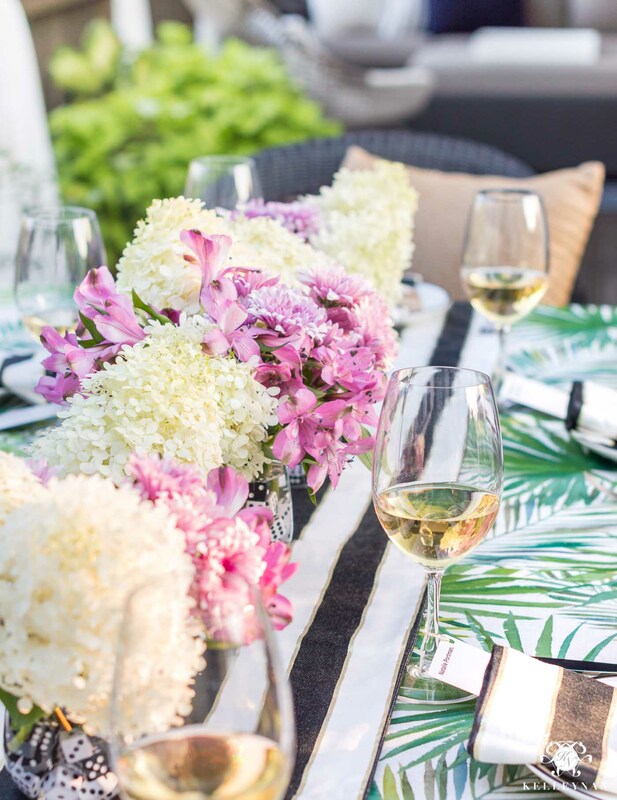 If you’re having a few couples over, maybe you don’t want to plan a huge party like it’s a special, milestone birthday – I get it. 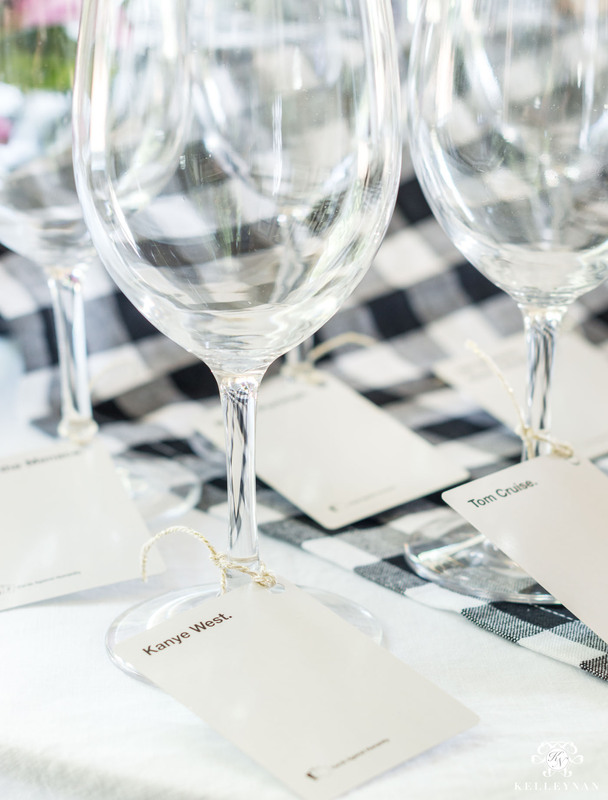 But having fun with little touches like wine charms/glass markers is easy and the perfect way to stay “on theme”. I have a drawer full of charms but using name cards from Cards Against Humanity (or another card game) gets your guests involved and laughing before even starting. I’ll even bet at least half your guests start referring to each other as their card-given names throughout the night. I used a hole punch and some twine to tie on each; you could even tape them to the bottom of the glass. We talked about staying out the kitchen, right? Along with what happens when someone sits down to eat for a formal meal and then before you know it, it becomes this big thing and hours have passed? Also, I am totally guilty of planning something I want to serve warm – like peach cobbler – and everyone being too stuffed for me to actually make the dessert. Or, getting carried away in conversation and like the accidentally cancelled game portion of the night, it gets too late to start baking. 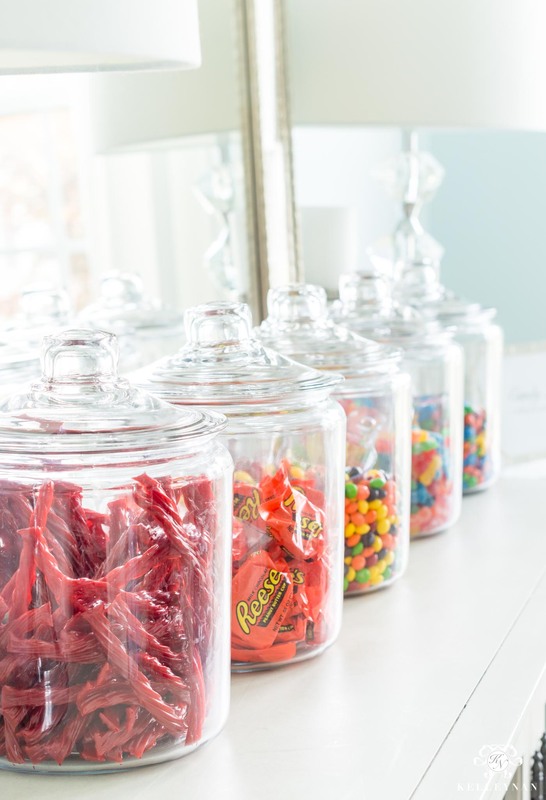 Stick to something your guests can grab and eat with their hands/snack on. 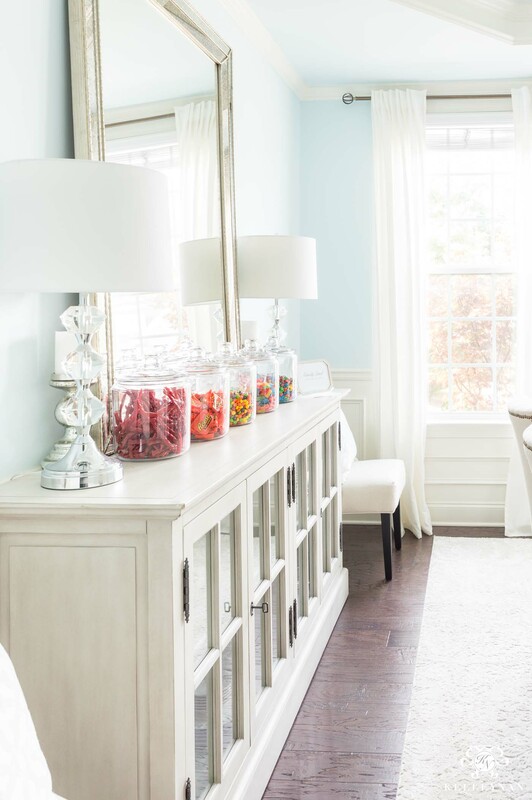 For game night and keeping it on-theme, I used a few gallon sized glass jars, filled them with an assortment of candy, added a few scoops and plastic bags, and dubbed this little candy station “Candy Land”. 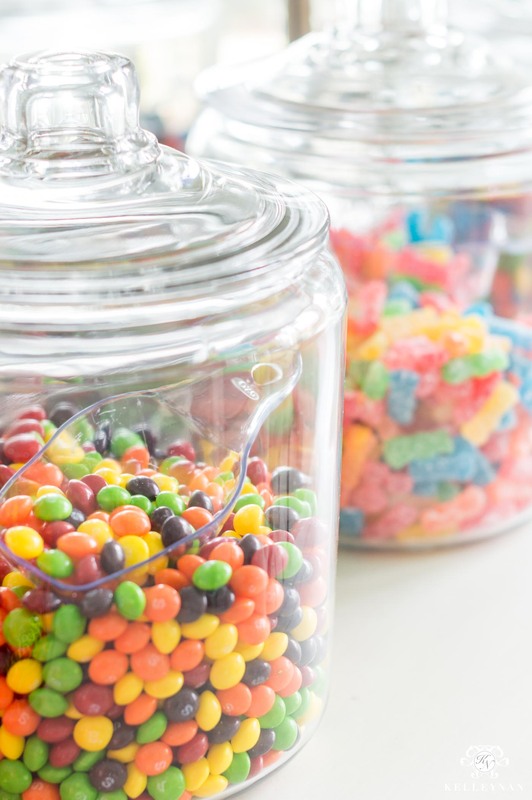 These jars are also perfect for stashing mini toiletries in guest bathrooms if you’re worried about storage/multi-purpose usage. Everything stays contained and as a bonus, there’s no clean-up. 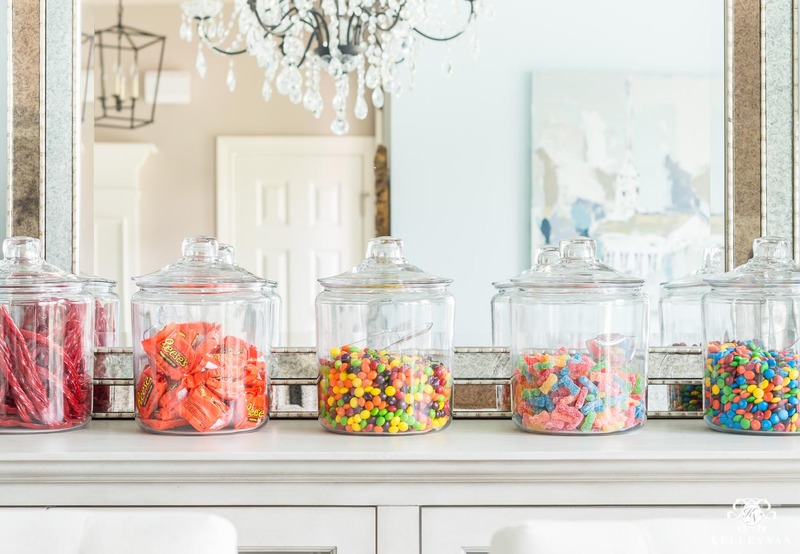 I even left a note for guests to refill their bags before leaving for the night – it’s a perfect little departure treat or something they can take home to their kids. I am all about finding ways to use your theme without having to load up at a party store on things you’ll never use again. I used scrabble tiles for each place setting and it took less time than if I had typed up and printed out super basic cards on the computer. I also added dice as filler to my small flower centerpiece vases. The flowers were simple- I grabbed a couple inexpensive bunches at the grocery store while I was shopping for food and mixed them with a few freshly cut hydrangeas from the side of our house. I didn’t want anything too elaborate since whatever I used would have to be moved once game play started; they can easily be moved to a nearby table or bar cart. Also, I use stemless wine glasses/drinking glasses as vases all. the. time. This set of 12 will keep you stocked for parties (Christmas? Thanksgiving?) but are perfect as vases to use throughout your house, too. (If you have a 20% off coupon or are a Beyond+ member at Bed Bath & Beyond, you can get these for under $16 for the full set – I am and use it both in-store and online, which I shared the advantage of recently in an Instagram story 😉 ). For the actual drinking glasses while you’re playing, I would 100% recommend using acrylic (here). You don’t even have to be as competitive as me to find yourself getting a little animated when you’re trying to argue that “supposably” is not a word. 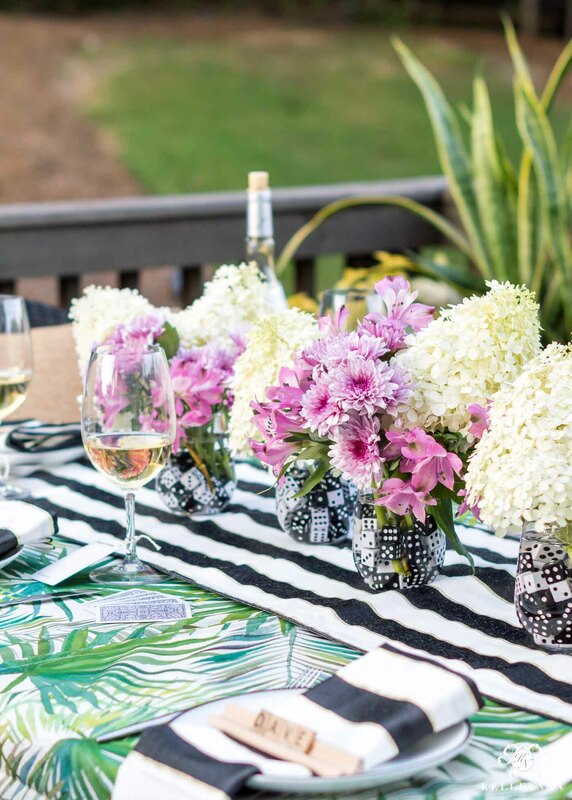 (BTW- it totally isn’t haha) I actually have more non-breakable wine glasses than regular now; I prefer to use them alongside guests when we’re hanging outside, and even indoors. Let me tell you- it has saved me more than once in having to grin and bare the inevitable accidents that happen. So, we already talked about trying to keep the menu to simple appetizers and finger foods. But, you don’t really have to withhold flatware from your guests haha. But, you also don’t need to give each person a five-piece set. One fork and knife (just in case) is more than sufficient. Side note- I actually just replaced and upgraded my everyday flatware to this Olivia and Oliver Madison set; I loved the more clean, modern look but in person, realized that while they’re pretty, they’re also such a great weight. It made me feel like our former set was something I would have used in a school cafeteria haha. 7. CONSERVE SPACE WITH PLATES… AND THAT’S IT! 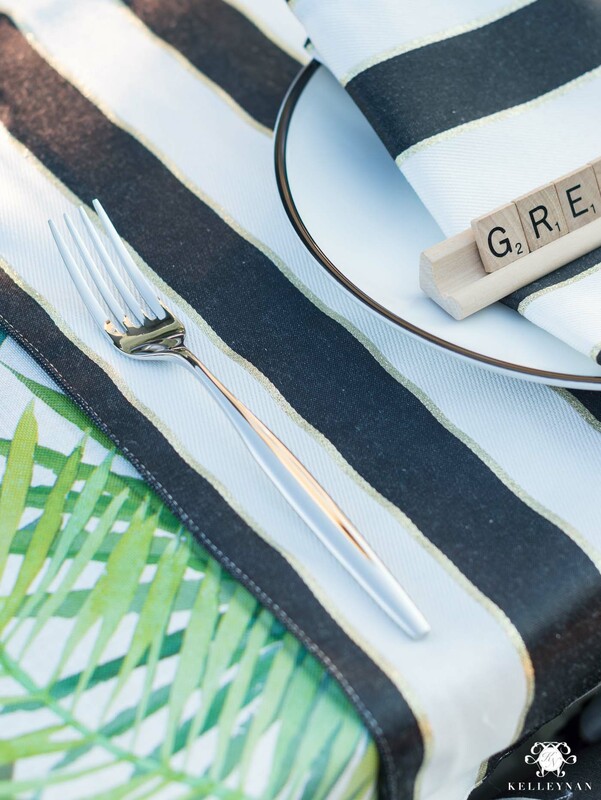 It makes it easier to simplify the flatware when you’re also simplifying your plates and place settings. 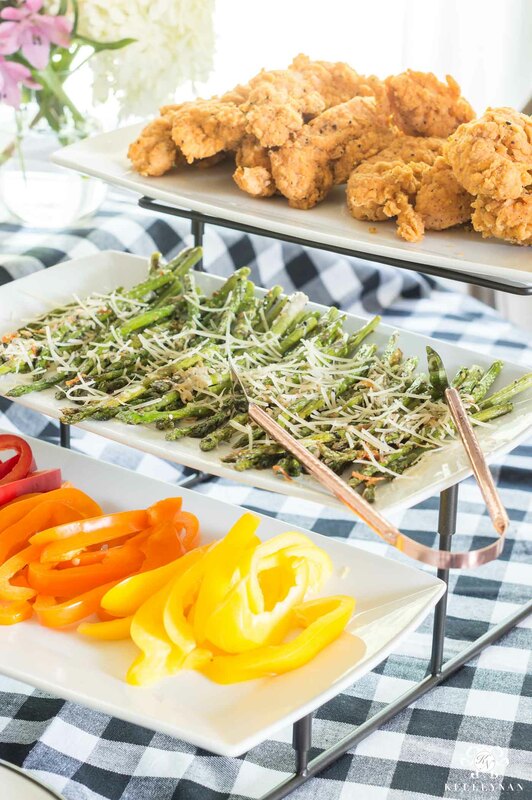 To encourage grazing and frequent “party-sized” portions instead of full-sized, sit-down dinner plating, salad plates are perfect. Plus, they conserve space so people can actually still snack without having a huge dinner plate obstructing the table. 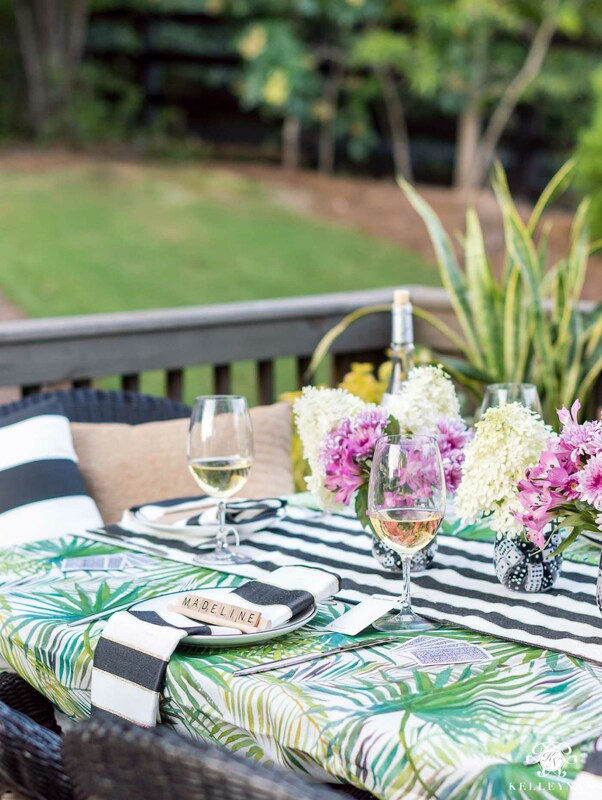 Bonus – this palm frond and palmetto leaf outdoor tablecloth comes in several sizes and options. We have an umbrella table and even though I didn’t want to use an umbrella for this occasion, I went for the option that comes with an umbrella hole with side zipper. 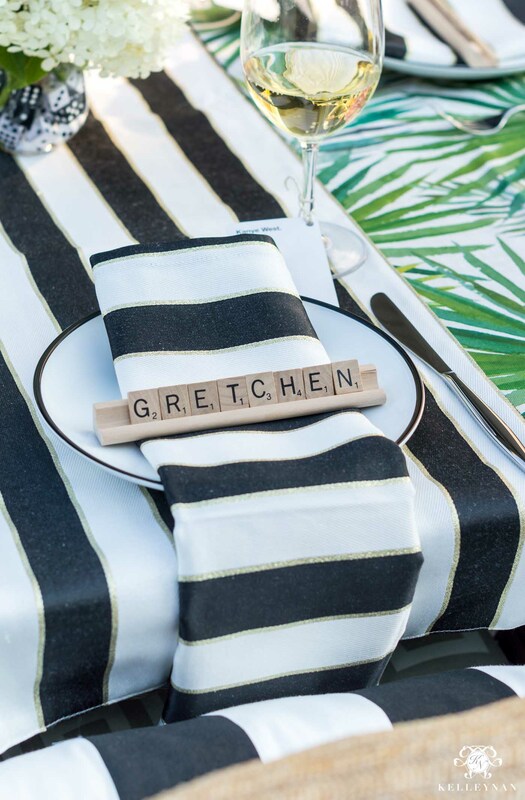 I covered it with this Kate Spade table runner down the middle, but got a second one for when we do use the umbrella; then, I can use both runners on either side and run them laterally instead of vertically. Another instance that most of us can relate to? Someone says they need a refill; as soon as they get up from the table and go inside, someone else decides they have to go to the bathroom. Someone else decides to take a phone call. Two others decide to go in and stand next to the food table. And suddenly, it’s been 45 minutes of no gameplay – all because someone needed more wine. Keep that wine, beer, sodas – whatever you’re serving – within arms’ reach. This tub is huge and will hold a ton. 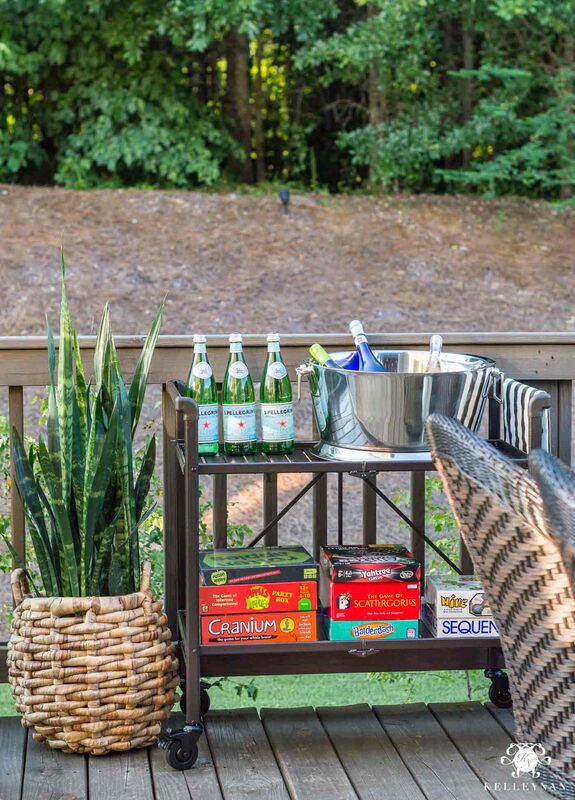 This outdoor serving/bar cart is brilliant- it can be folded up (basically like a lawn chair) when it’s not in use. 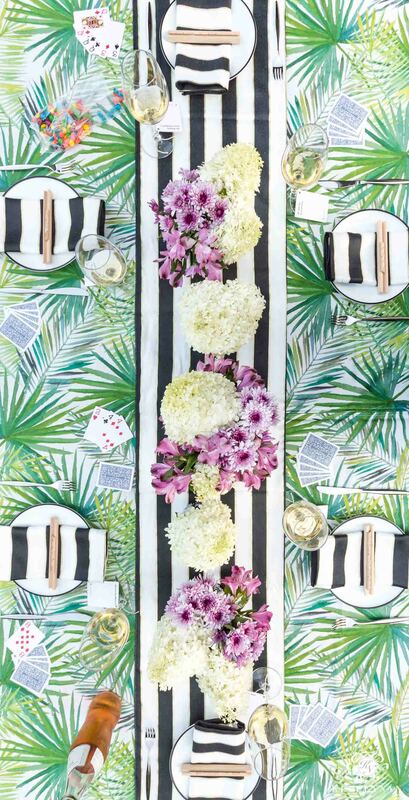 Can you tell one of the number one general, overall theme of my tips is to keep people at the table? Haha. Just like stepping away for a beverage, people will want to start moving around if they aren’t comfortable. 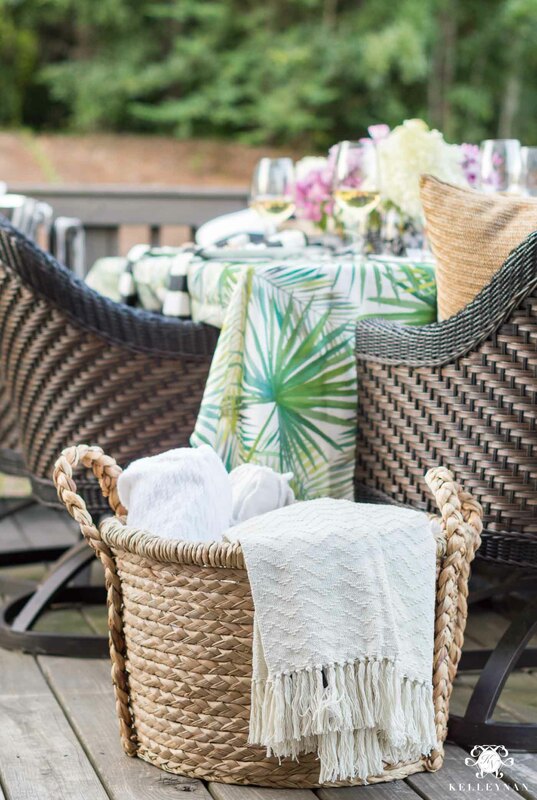 Keep some light throws nearby for once the sun sets or if you’re entertaining outdoors, into the fall. I visited a restaurant one time and ate outdoors in chilly weather; along with a few heat lamps, they kept a rack of light throws for diners and I thought it was the most adorable touch ever. You can grab some cheap scratch-offs at the store to serve as incentive and a little guest treat. Plus, if they win big, they’ll never forget the game night you hosted. Thank you to Bed Bath & Beyond for partnering on today’s post; as always, all thoughts, opinions, ideas are my own. Click HERE for my full disclosure. I have NEVER hosted a game night and honestly never thought of doing it (I’m the anti-Kelley and totally not competitive – ha!) but now I have to because I’m so loving these ideas! 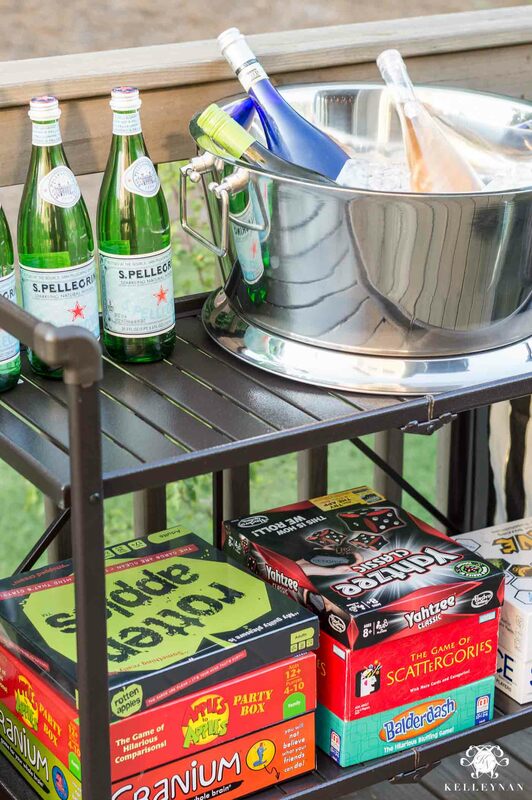 And I need that foldable serving cart in my life!! Kris, if you lived here, we would have a game night at least once a month! haha- I just hope I wouldn’t scare you off 😉 And isn’t that cart cool?? 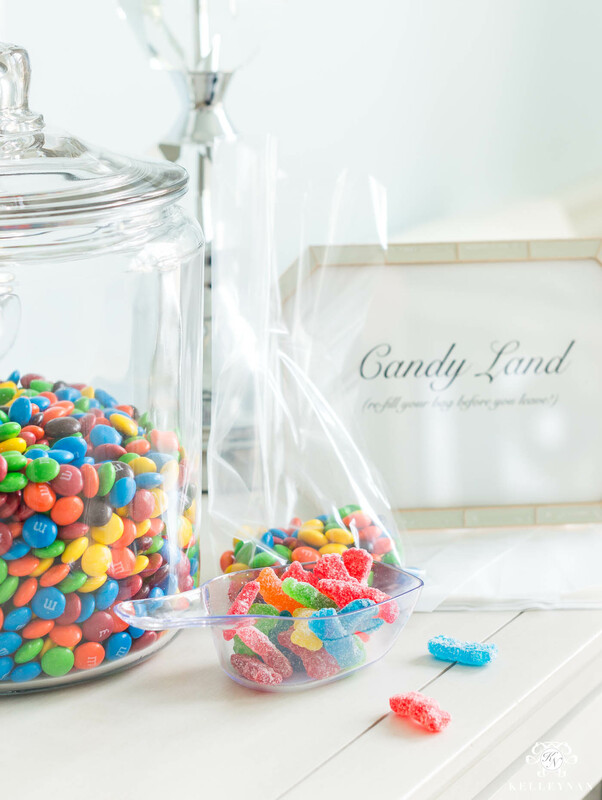 Such a great idea for game night, I love the play on candy land with the candy bar that is super cute. The wine glass markers are also so creative using the names from Cards Against Humanity you knocked it out of the park. Such great ideas! I love this post. Thanks for the clever tips. Love this Kelley! I am Hosting a girls night next week and think I need to add some card games like “spoons” in on the fun. 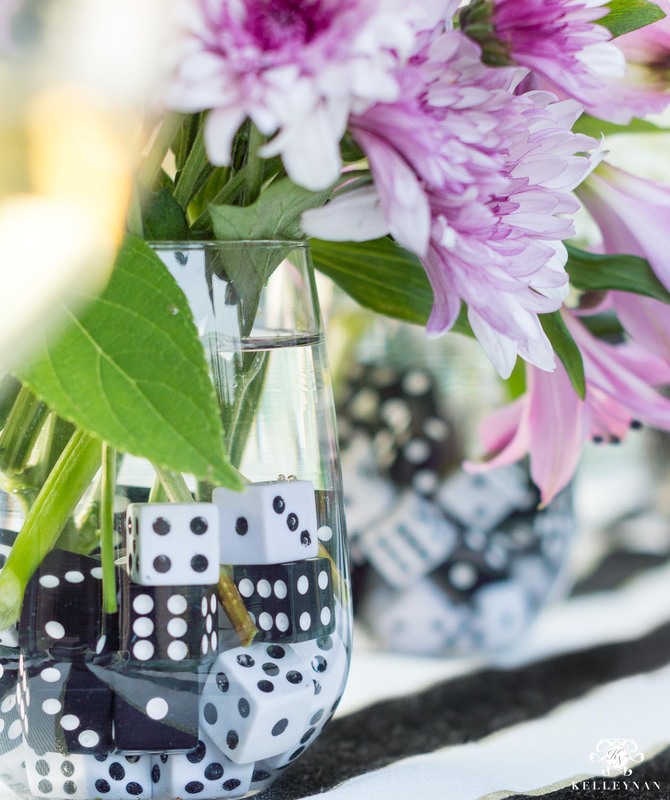 Love the winner ideas—- for Xmas I put lottery tickets under everyone’s plates and it gives us an activity to do while everyone is serving their dishes but I like the idea for game night prizes..also love the dice in the vases. Note taken. . Any ideas for a girls cocktail to cut down on alcohol expense? Not too sweet and not too spicy? We play monthly and rotate which house, with 3 couples. We eat out first, kind of early and then head to the host house. We play and then maybe halfway through, we take a break and eat dessert, which the host provides. So not much cooking is involved, just a yummy dessert and drinks. The game we have enjoyed lately is called “Jokers and Marbles”. Amazon carries it and it is a tad expensive, but it’s all hand made, carved wood. It is a great game and we usually play girls against boys. We absolutely look forward to our game nights! Love your ideas and suggestions. Going to try some of them. Sandie, I love that monthly tradition! And you always have something to look forward to. I’m gonna have to look into that game- I’ve never heard of it before so thank you for sharing! Hi Kelley, love this post!!! So many great ideas. Especially the dice filler with the flowers. I don’t recall a reference given on where to find the extra dice for this idea though. Especially the black ones any ideas where to purchase them? Joan, you are so kind; I am so happy to hear that! Absolutely makes my day – I had so much fun coming up with these ideas and am delighted that they were so well received <3 Thank you, again. thank you!!!! love can’t wait to have family game night before my three kiddos head off to college! Kim, that sounds like an awesome plan!! 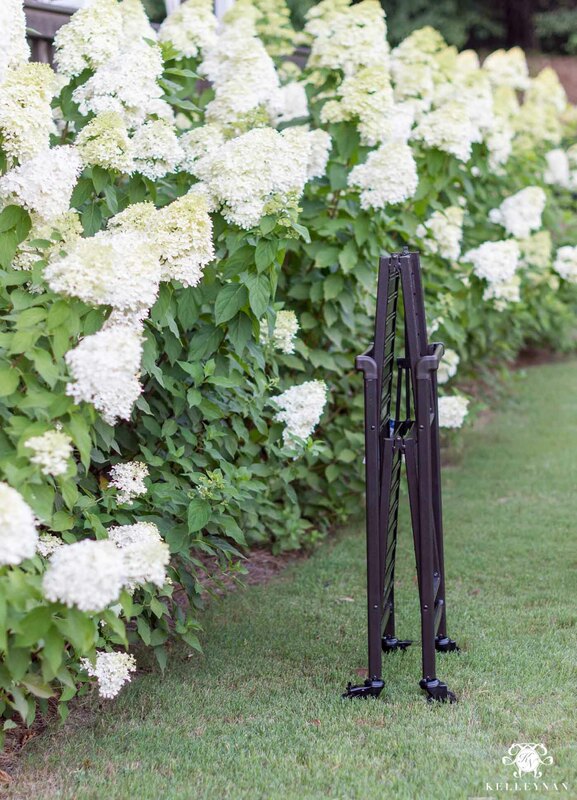 Love the outdoor folding cart idea! It looks like black but is brown on the purchase website. 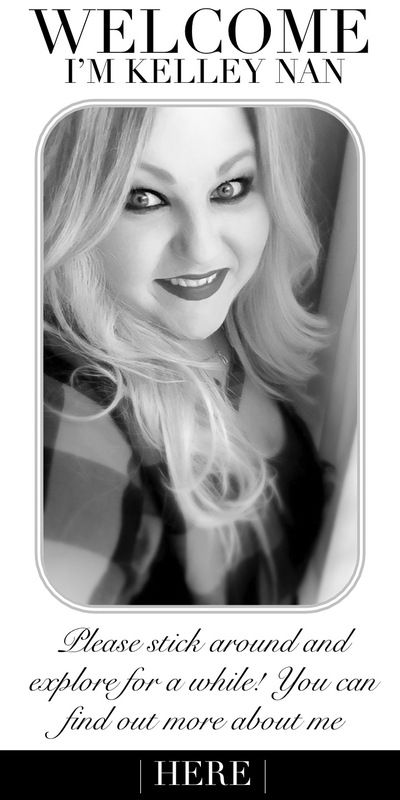 I hope it comes in black because I def will purchase! Love!